So many things happen in a kitchen. We bond over food and drinks. We talk about our day, share plans, laugh, debate and so much more. One could say that the lives of kitchen countertops can be as spicy as the dishes that are prepared on them! 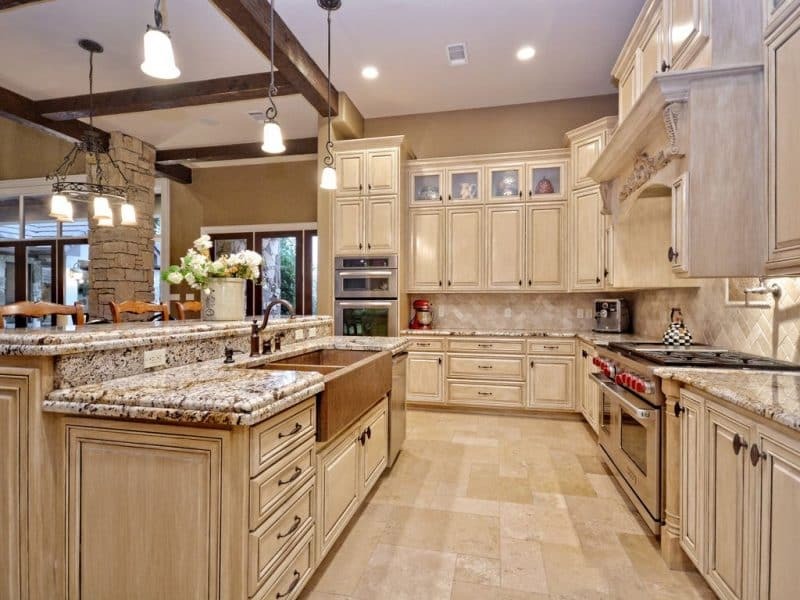 It is, of course, also where we cook, eat, study and occasionally work so as you are checking these granite countertop kitchen ideas, try to picture how it would fit within the flow of your kitchen. 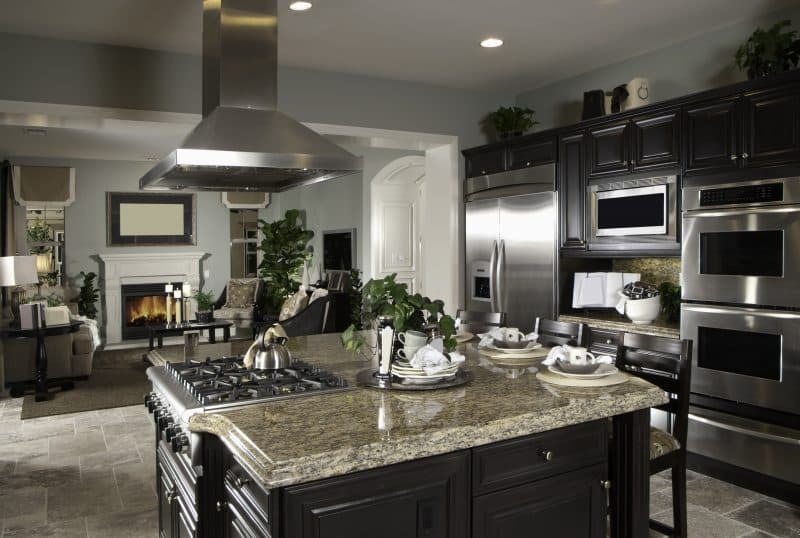 Granite countertops are in fact quite a popular countertop choice in today’s kitchen. One of the reasons is that there are so many granite countertop kitchen ideas, you are pretty sure you will find that special granite slab that’s just right for you! They come in a variety of natural colors and textures so the sky really is the limit. 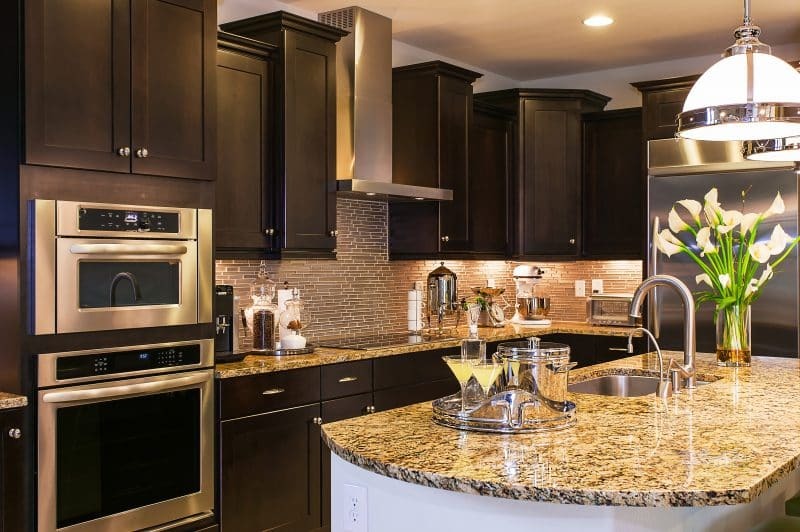 Another key reason a granite countertop attracts so many homeowners is its durability — its heat, scratch, and stain resistant properties are a big plus. So are you ready? We hope these hand-picked granite countertop kitchen ideas deliver that extra spark of inspiration you may be looking for to build your dream kitchen. Enjoy and beautiful day to you! The Little Plus: this kitchen’s use of texture and geometry to liven the monochromatic color scheme. Notice how the simpler accent pieces like the bell lanterns, exposed beams and the hammered copper double sink have more impact with this neutral color palette as its backdrop. And the granite countertop single-handedly marries all the color variation together — well done! The Little Plus: the square island countertop — this kitchen’s visual anchor. 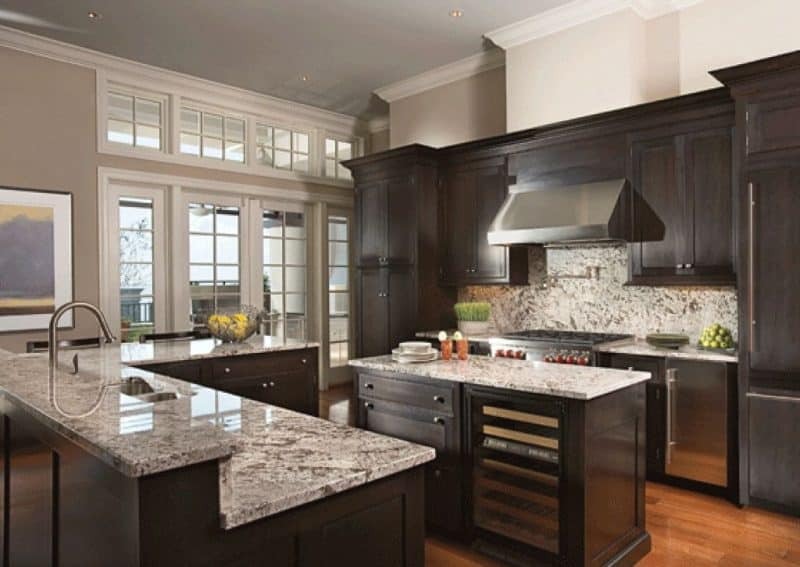 Its marbled granite accents the black cabinets and stainless-steel appliances improving the room’s air of sophistication. 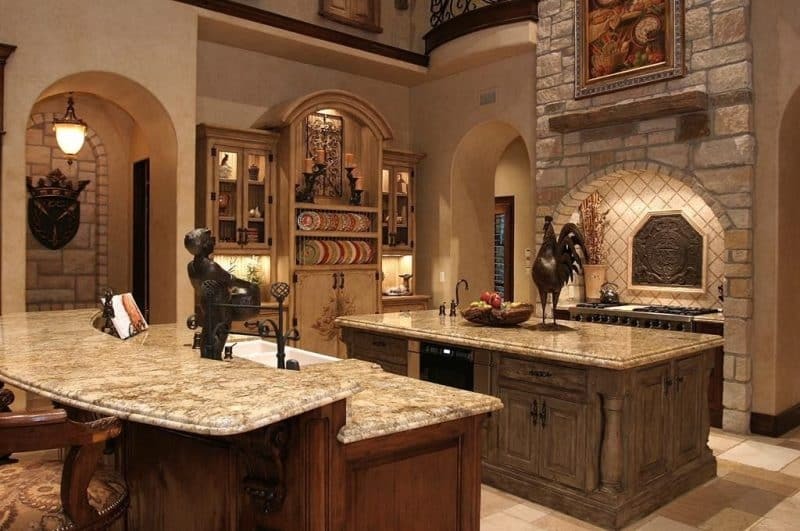 And would you take a look at that stovetop area? The countertop curves where the stovetop protrudes creating a seamless fit. The ceiling mounted range hood and the double oven with its warmer drawer further highlight that on this kitchen, we’re ready to cook! The Little Plus: the light colored granite countertops that contrast with the dark cabinetry and its clean countertop edges that evoke a contemporary feel. These countertops brighten the kitchen and add visual interest with a texture that provide a blissful pause to the dominant solid colors. Note also how the granite backsplash contributes to a consistent look throughout the kitchen. The Little Plus: the stunning stone alcove and the beautifully aged kitchen island. They both create that lived in feel of homes that have hosted large family gatherings through the years. Another highlight is the curved countertop of the raised kitchen bar that pairs well with the kitchen’s arches. And not sure the bronze rooster has its place on the kitchen island but it certainly evokes a welcoming countryside mood.